For my End to End hike in July, I have decided that I won't be taking any maps with me. Well, that is not strictly accurate, I will have OS mapping for the whole of the UK but I won't be taking any paper maps. I have made this decision for a number of reasons, one being the sheer quantity of maps required for a trip of this length makes it really impractical and I simply can't be bothered with organising the delivery of maps to me en-route. This isn't the main reason however, in recent years I have become used to navigating electronically and I have decided that this is a far more practical method for this hike. The traditional view is that a paper map and compass is essential for navigational safety and relying on electronic maps is foolhardy. I disagree. Much as I love paper maps, they are impractical for really long trips because of their bulk and weight and in my opinion, the arguments against electronic navigation don't really stack up when examined closely. The main argument against is usually 'battery life' but this a really a bit of a non-argument, powerbanks that can recharge devices numerous times are cheap and portable. Most smartphones and tablets now have GPS functionality and navigation apps such as the excellent 'Viewranger' give the walker access to numerous navigational aids and can be loaded with OS maps so that a whole library of maps can be easily stowed in a pocket. 'But what if it fails', is the usual response from the traditional camp. 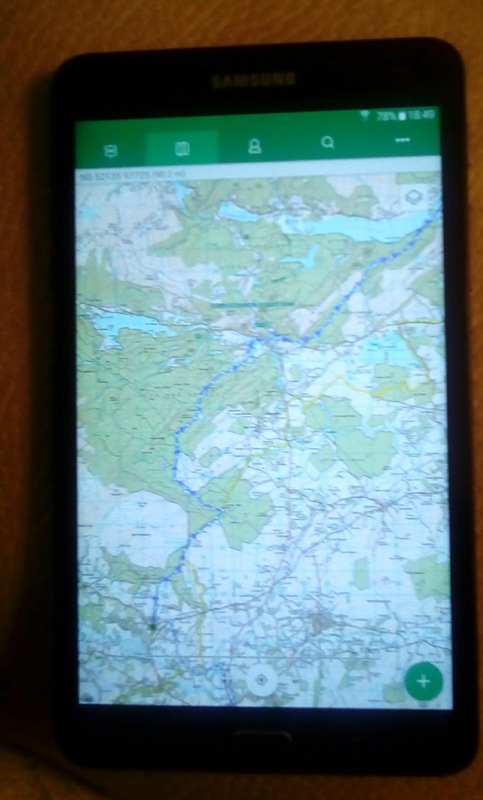 In my case, I will be carrying a smartphone and a seven inch tablet, both loaded with the Viewranger app and OS mapping, so if in the highly unlikely event that one failed, I will have backup. I walked for years with a paper map and never had a backup and twice lost my map while out walking, once in thick fog with strong winds and rain on Snowdon. Besides having a second device as back-up, I also like the idea of having a larger screen for getting a better overview of the terrain. The phone is fine as a hand-held navigational device while walking but the tablet is good for studying the route ahead. 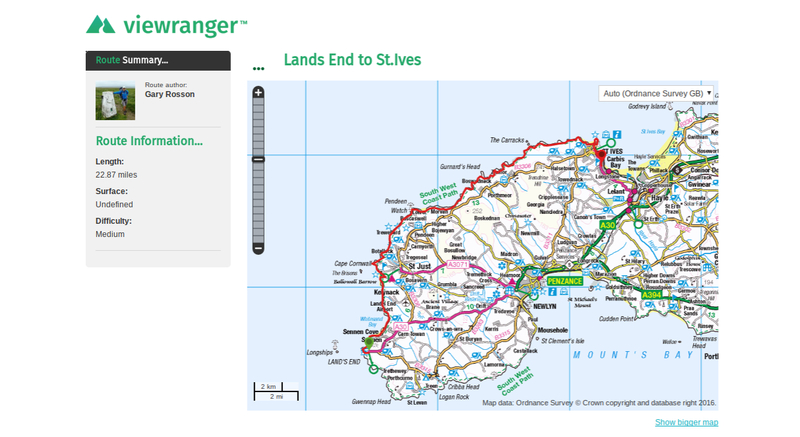 This system has worked well for me in the past and I feel sure that it will again on my LEJOG hike.